GRIM, Barbara Dianne, resident of Tucson, left us on July 1, 2016. Her husband of 40 years, Walter Grim, passed in April. She is survived by her brother, John Printz, and stepdaughters Marlene, Pamela, Cori, Gina and Diane. The light of her warm, welcoming smile touched the lives of many. 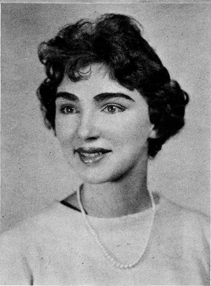 Along the way she worked as a summer intern in the Washington DC office of Senator Jacob Javits, graduated from James Madison University, and was a personal assistant to the president of the C&P Telephone Company before assuming a leadership position in the training division. Her retirement brought her and her husband to Tucson--a place they both loved so much, especially their patio view from the Catalina foothills of city lights beaming like clusters of stars. Family will lay her to rest at the family gravesite in York, PA. May the light shining on the faces of those who knew her remind them of the joy in hers.